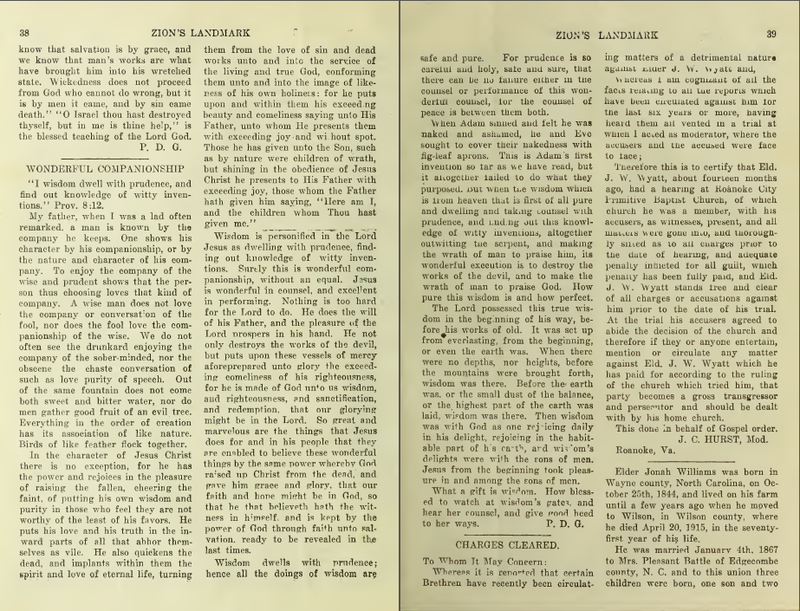 Williams | Scuffalong: Genealogy. 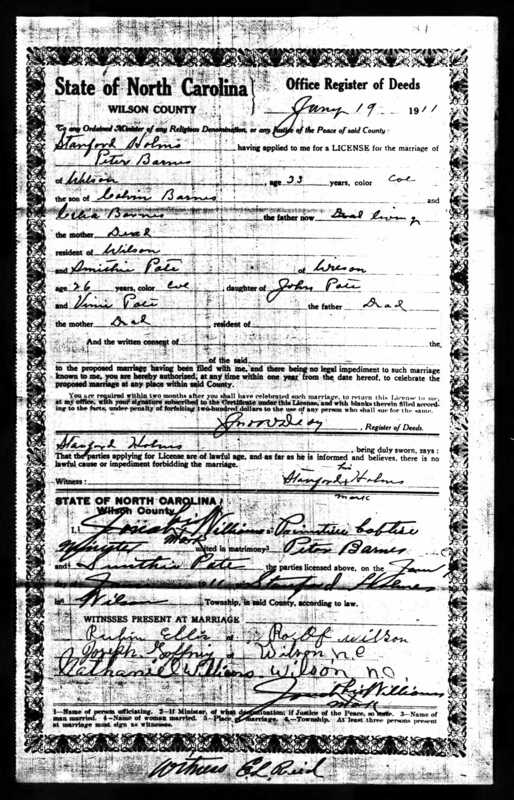 Williams – Scuffalong: Genealogy. And then the paper folded. More than 20 years passed before Clarissa next appeared in print. 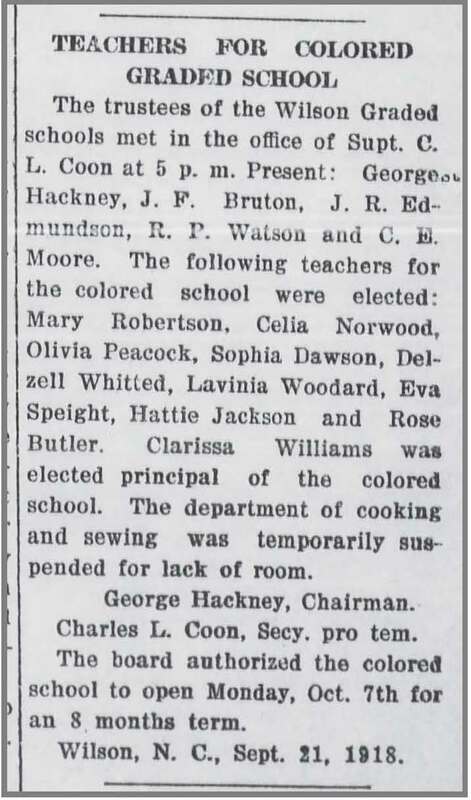 The “bright lady teacher” had fulfilled her promise and was elected principal of the Colored Graded School. Her tenure was not long, however. 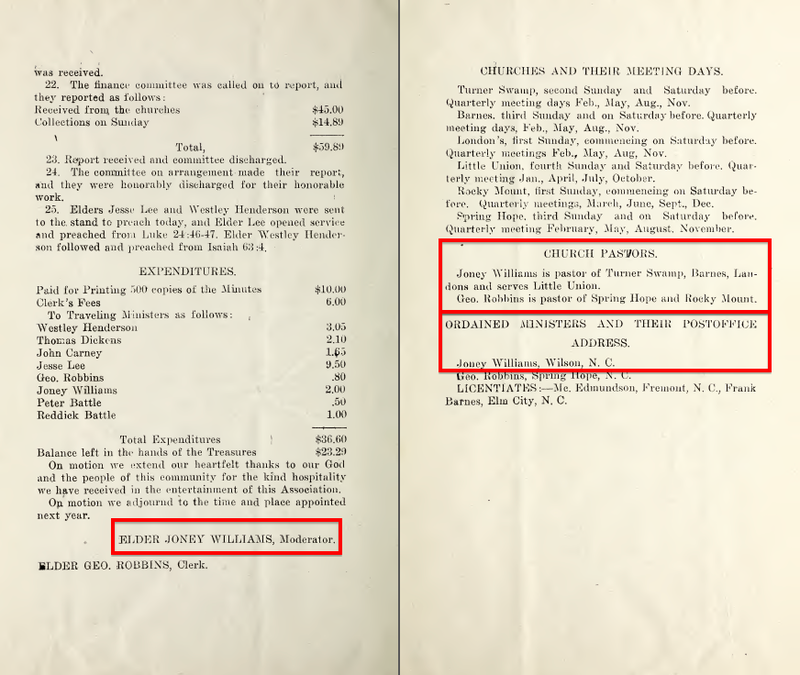 Clarissa Williams died of kidney disease on 26 October 1922, at the age of 51. The Wilson Daily Times was an afternoon paper in my day. It was lying in the driveway when I arrived home from school, and I could read it first if I put it back like it was — pages squared and neatly folded. 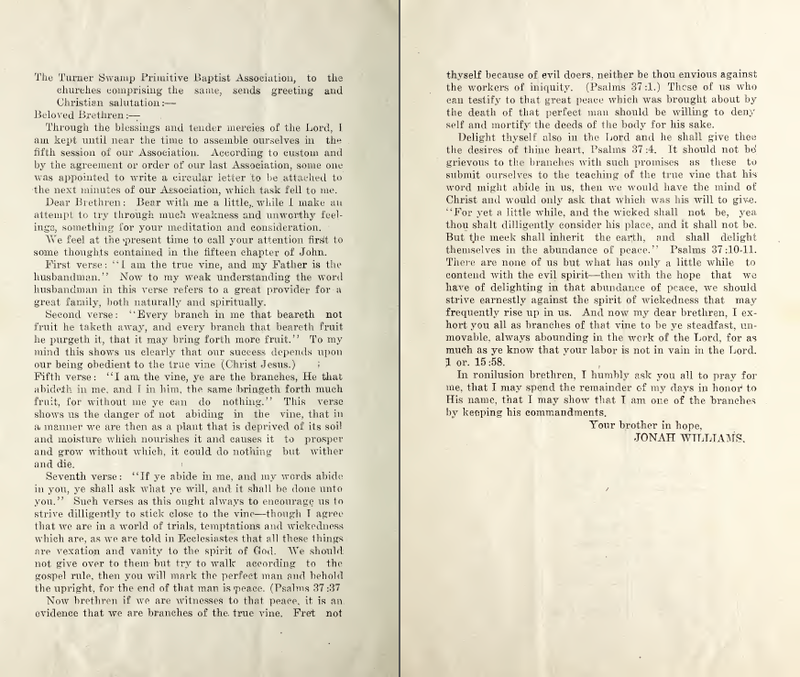 (Even today, I shudder at a sloppy newspaper, flipped inside out and pages sprawling.) 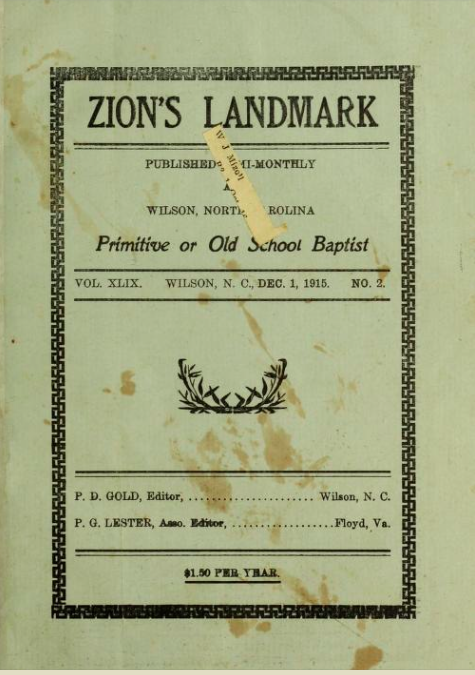 The Daily Times‘ roots are in Zion’s Landmark, a semi-monthly newsletter begun in 1867 by Pleasant Daniel Gold. 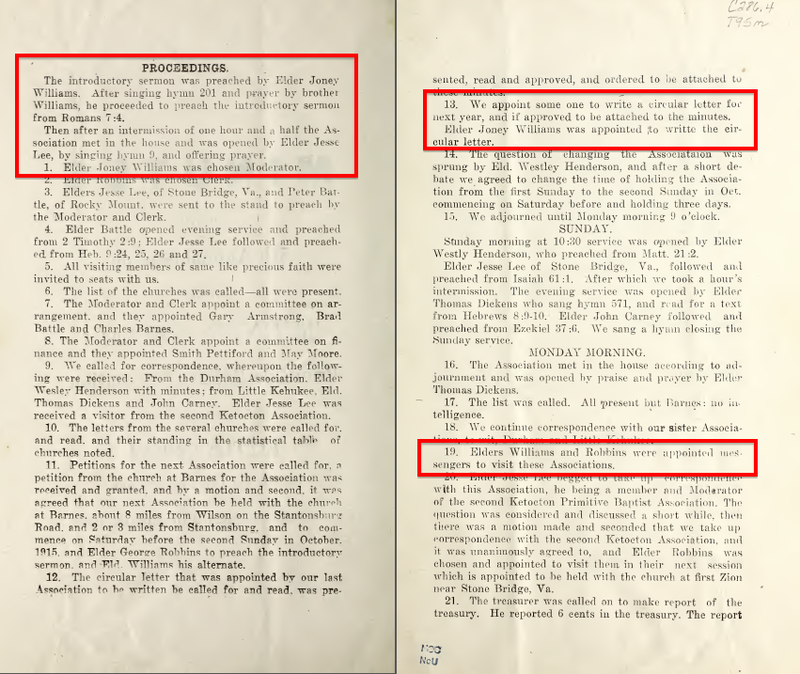 Elder Gold (1833-1920), pastor of Wilson Primitive Baptist Church, filled the periodical with sermons and homilies, ads for homeopathic remedies, testimonials, altar calls and, most enduringly, obituaries of Primitive Baptists throughout eastern North Carolina. And what does this piece add to what I already know about Jonah Williams? 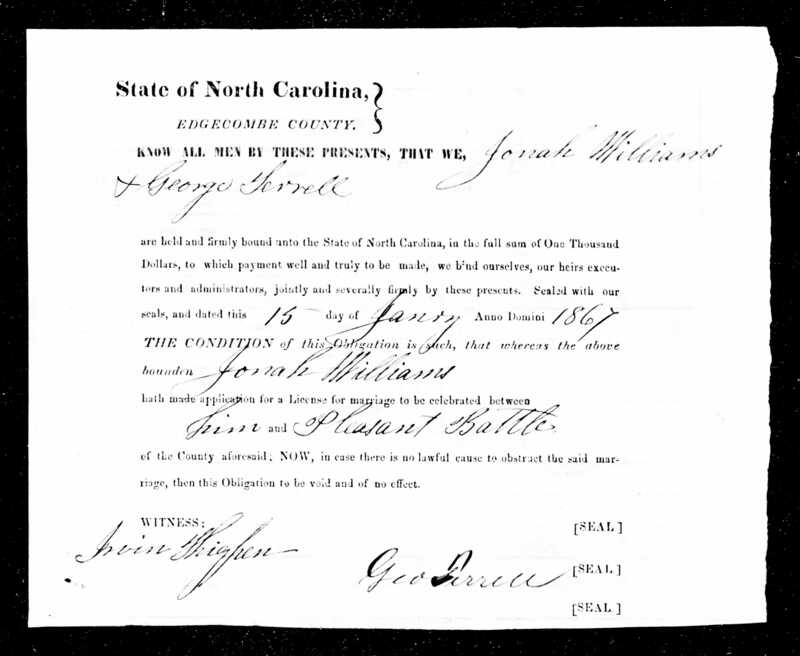 A marriage date for him and Pleasant Battle — 4 January 1867. 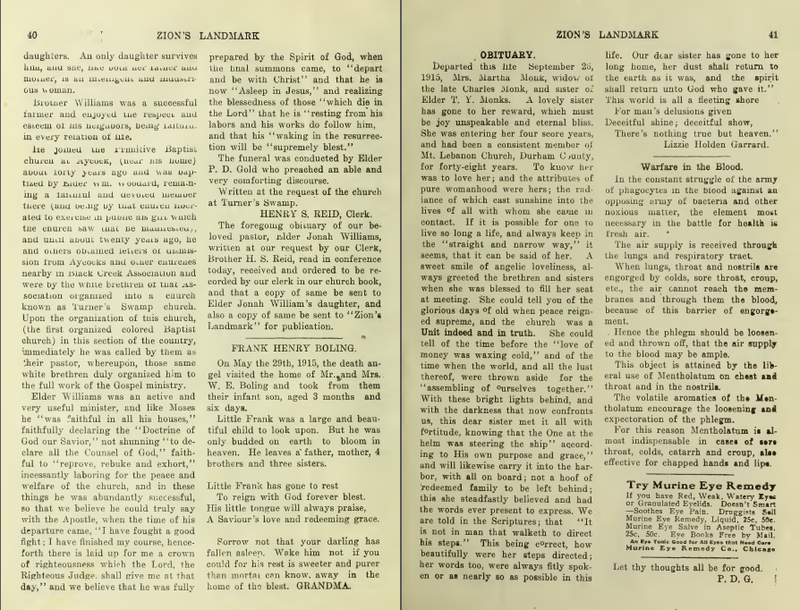 Some confusion about their children. 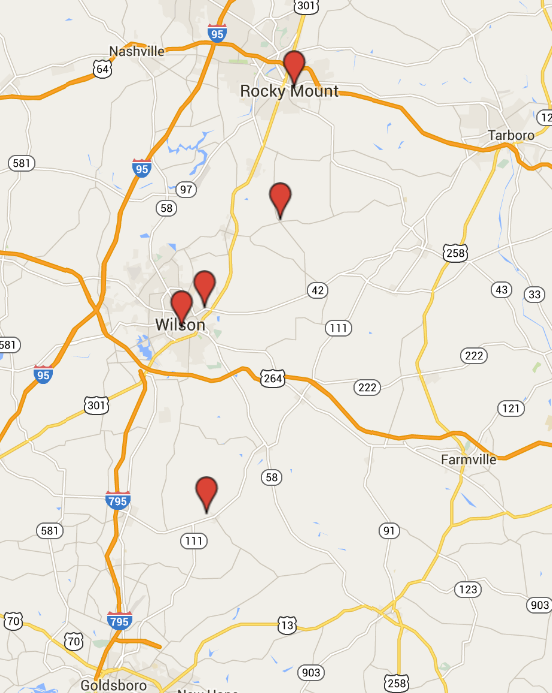 I knew Pleasant had a slew of children from a previous marriage to Blount Battle. 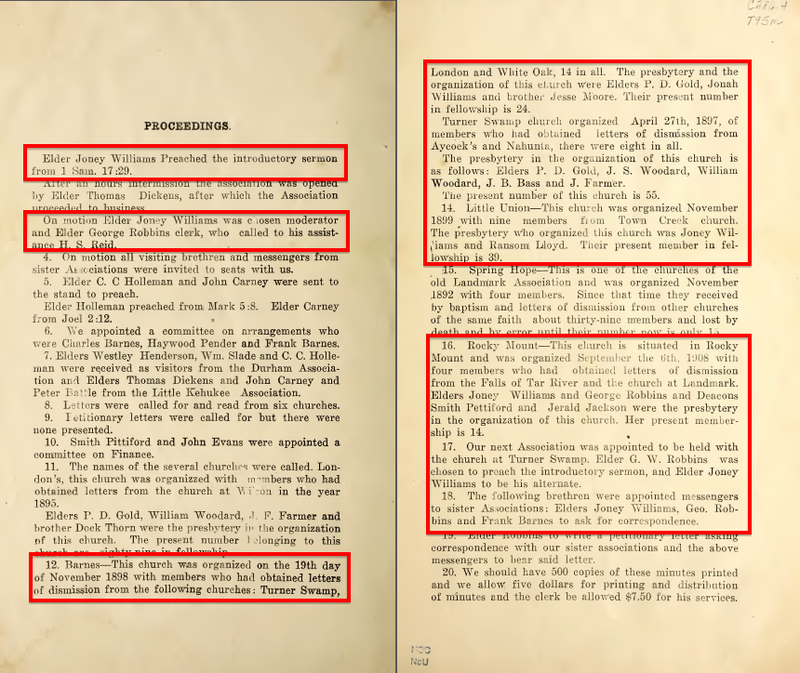 However, I had four children for Jonah and Pleasant — Clarissa (the surviving daughter referred to in the obit), Willie F. (1872-1895), Vicey (1874-1890), and J.W., whom I know only from a stone in the Williams’ cemetery plot. I’m thinking now that this is a foot marker, rather than a headstone, and I’ll revise my notes. 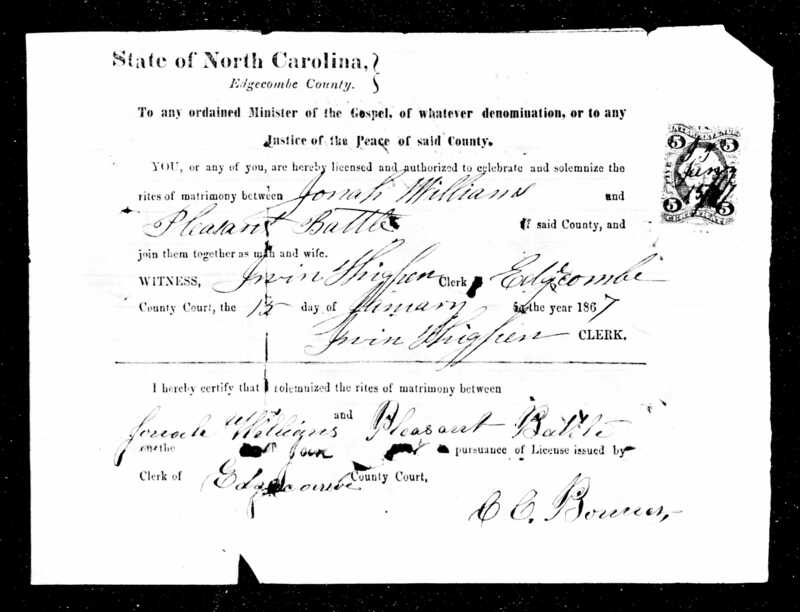 Jonah joined Aycock Primitive Baptist Church, part of the Black Creek Association, around 1875. 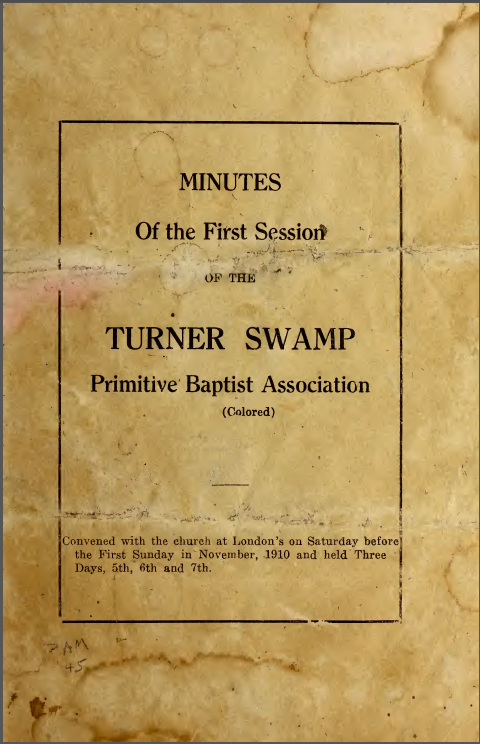 Around 1895, he and others were permitted to leave Aycock and form Turner Swamp Primitive Baptist Church, the first “organized colored” P.B. church in the area. 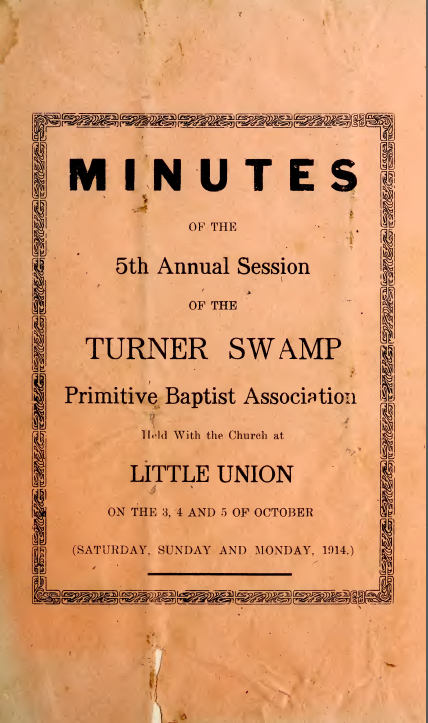 The Black Creek Association ordained Jonah when he was called to serve at Turner Swamp. Elder P.D. Gold preached Jonah Williams’ funeral. 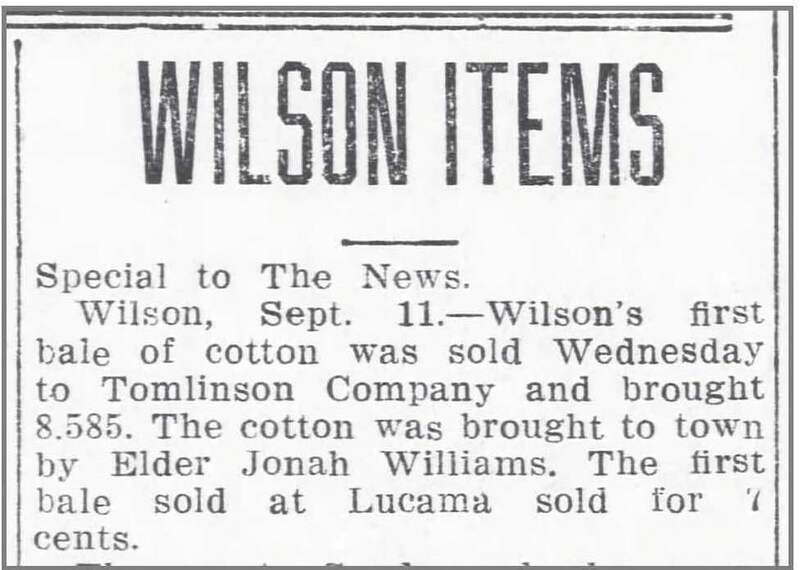 Charlotte News, 11 September 1914. Jonah Williams rolled into Wilson on opening day and sold the first bale of cotton of the market season. 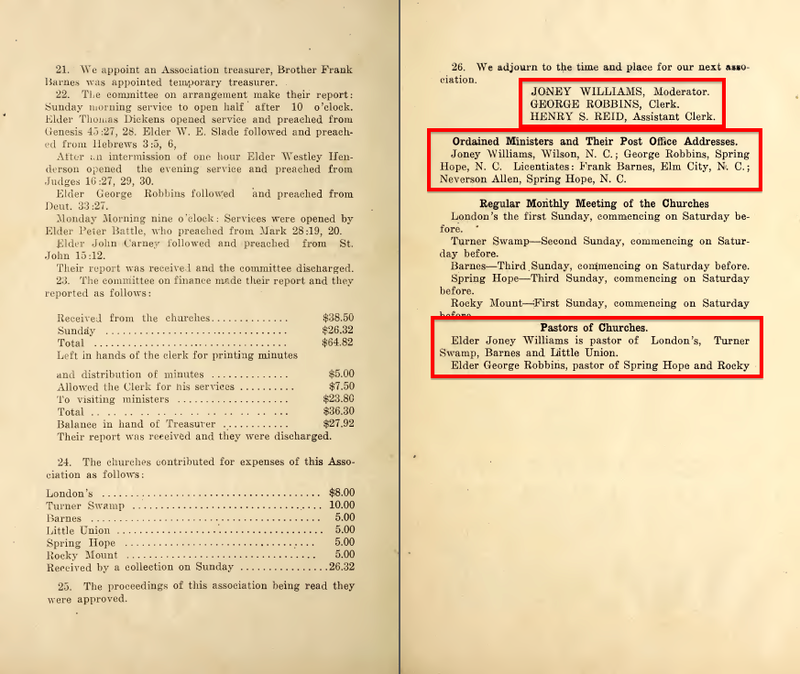 From what I can glean from newspapers, $8.585 was not a good price, and 1914 was a poor cotton year.